Annabel Grey is a very proper young lady. Her mother has always emphasised the need for impeccable manners and genteel behaviour, a message firmly reinforced by the teachers at Miss Finch's Academy for Young Ladies. Annabel's father was a sea captain, who never returned fom one voyage, so it's always just been her and her mother. Orderly, predictable … except for whenever Annabel accidentally glances into a puddle and sees things. That all changes one rainy day when Annabel sees more than usual in a puddle. A dark man stands with his back to her, and he fills her with dread. When he turns, she sees the shadows in his cheekbones and the shadows in his eyes … and she faints. 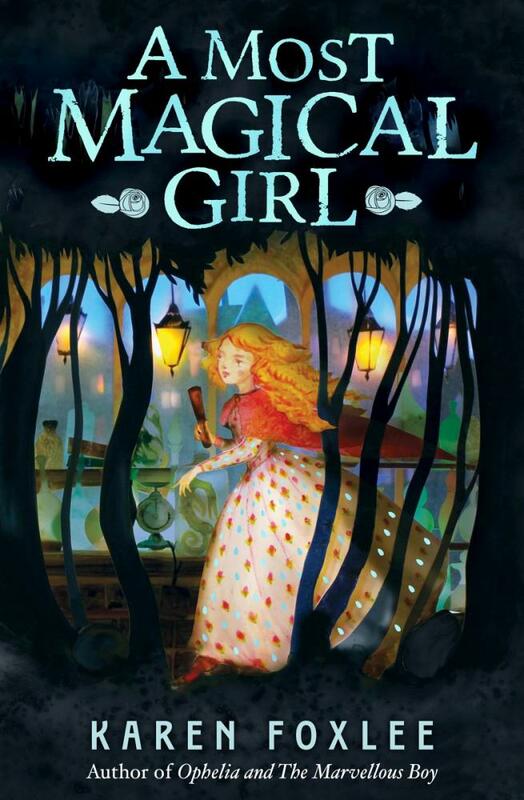 The next day, her mother suddenly has to go away and Annabel is delivered to her great-aunts' magic shop, relatives Annabel never even knew she had. It seems Annabel is far from an ordinary proper young lady. She is, in fact, a most magical girl from a most magical family. And she is now the only person who can prevent Mr Angel's plans to take over the world with dark magic. To defeat Mr Angel, Annabel will need to brave the depths of Under London, escape from trolls, evade a dragon and retrieve the Morever Wand. 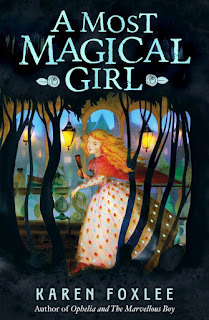 Her only help will be in the form of Kitty, a wild street urchin who has magic of her own and can sing a heart light. This is a captivating, fantastical adventure into a beautifully crafted world of magic and legend. Annabel is daunted but determined, and as an unlikely friendship forms between her and Kitty, we discover the true meaning of courage.